Among the wreckage removed in Joplin, Mo., after the 2011 tornado was 2,600 tons of asbestos debris. "That was a small community," said Linda Reinstein, president of the nonprofit Asbestos Disease Awareness Organization. "Do the math, and we can recognize that we have a significant public health risk with Hurricane Sandy." With wind and water damage caused by Sandy compromising the integrity of homes, schools and other buildings along much of the East Coast, health experts warn of increased risks of exposure to a variety of environmental toxins. One of the most worrisome, they say, is asbestos. Much of the compromised construction materials, including roofing, piping and insulation, could contain the microscopic mineral fibers. And while a person generally can't see it, smell it or taste it, they can breathe it and ingest it -- and the consequences can be severe. 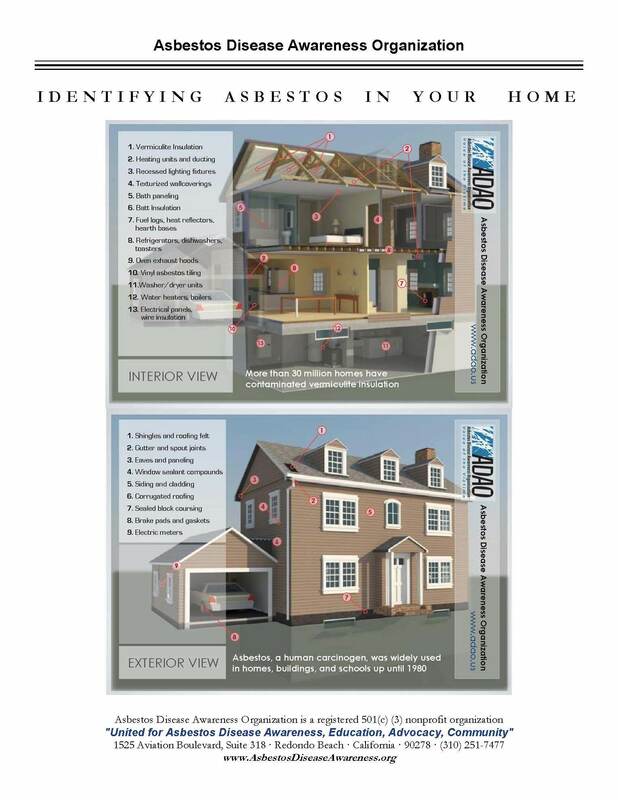 Asbestos is a known carcinogen, and its dangers have been recognized for nearly a century. "As a cancer-causing agent, there is no safe level of exposure," said Dr. Arthur Frank, chairman of the department of environmental and occupational health at Drexel University School of Public Health. "People putting asbestos into buildings died by droves. Putting the stuff in is not very different than taking it out. This is a significant risk." Buildings constructed before 1980 are more likely to contain the potentially deadly material, explained Reinstein. But because it is not banned by the Environmental Protection Agency, asbestos is still used in construction materials today. In 1989, the EPA did issue a ban on most asbestos-containing products. But that regulation was overturned by a court two years later. Today, up to 35 million homes, schools and businesses in the U.S. contain contaminated insulation, according to the EPA. What's more, the U.S. Geological Survey reported in August that "asbestos consumption" increased by 13 percent from 2010 to 2011, for a total of 1,180 tons. Forty-one percent of that asbestos ended up in roof products. The latter fact may be particularly concerning given that the superstorm sent roofs buckling, breaking and blowing off buildings. Damage to the asbestos tiles in the roof of a high school in Wallingford, Conn., will keep students out of school until at least midweek, according to the New Haven Register. As long as it's encapsulated in building materials, asbestos poses little risk of exposure. It's also relatively safe when wet. But as Dr. James Melius of the New York State Laborers' Health and Safety Trust Fund explained, once asbestos gets wet, deteriorates and then dries out, it may become "much more friable." In other words, it's more likely to crumble and become pulverized into powder. The resulting dust can disperse into the air and into the lungs, where it can then become permanently lodged. Asbestos exposure is a known cause of life-threatening medical conditions such as mesothelioma, scarring of the lungs and lung cancer. Emerging research also implicates the fiber in ovarian and gastrointestinal cancers, possibly through contaminated food or water. "The collateral damage will be untold for decades," said Reinstein, referring to the fact that many of these diseases can take 30 to 40 years, or even longer, to manifest. The lag time has likewise complicating efforts to link exposures from Ground Zero dust with cancers including mesothelioma, which is a cancer of the chest and abdominal linings. The dust that rose and lingered and then settled at Ground Zero contained a long list of potentially cancer-causing ingredients, from benzene and polychlorinated biphenyls (PCBs) to hundreds of tons of asbestos. In the aftermath of any disaster, experts advise people uncertain of the make-up of debris material to err on the side of caution. "It could be mineral wool or fibrous glass," said Frank, "but always assume it's hazardous and treat it as if it was asbestos." That means hiring a specially trained professional to handle the hazardous debris -- preferably while it is still wet or damp. Removed materials should be double-bagged, labeled and properly disposed of. Experts also suggest avoiding any activities that will generate dust, such as sweeping or vacuuming debris that may contain asbestos or other toxic materials. "People are out there now looking for wedding pictures and clothing to stay warm," said Reinstein. "Asbestos is not at the top of their mind." But even as they deal with the immediate concerns of the devastation, she recommends that people also consider the long-term consequences. "My daughter and I watched my husband fight for his life and take his last breath," said Reinstein, who lost her husband, Alan, to mesothelioma in 2006. "To watch my husband die of a preventable disease is beyond devastating." The EPA has estimated that as many as 35 million homes, schools and businesses contain the potentially deadly material.